The unexpected can happen anytime and anywhere. When you travel out of your province or out of Canada, your provincial health or medical insurance plan may no longer cover you but you can go for one of the best medical travel insurance for snowbirds and vacationers. RSA Medi-select advantage is the perfect plan for you. It is a leading emergency medical insurance that provides emergency medical insurance when you travel out of your province or country. The medi-select advantage emergency medical insurance offers benefit both for RSA partners and customers. The benefits could be both medical and non-medical. Some of the benefits include medical single and multi-trip daily/annual plan, supplemental multi-trip annual plan and so forth. Some non-medical benefits include trip cancellation and interruptions, accidental death and dismemberments and loss of baggage and personal effects. The medi-select advantage insurance provides specific advantages for Canadians age 59 and under as well as those 60 and above. The target customers for this plan include Canadian travelers and snowbirds looking for medical and non-medical coverage when they travel outside their province or territory. This is a flexible plan with both medical and non-medical advantages for both RSA partners and customers. 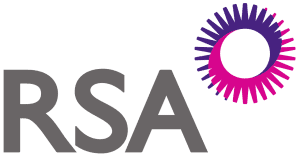 Medical benefits for RSA customers include medical single or multi-trip daily/annual plan, 60 – 79 vacation plan for travellers aged between 60 and 79 taking a trip up to 30 days, Canadian plan for out of province travel and so forth. Non-medical plan for partners include non-medical single trip and non-medical multi-trip annual plan. Customers can benefit from the plan’s competitive rate. For customers aged 59 or under, the plan offers no medical questionnaire, quick enrollment, $0 deductible, and so forth. For customers aged 60 and over, the plan involves a medical questionnaire for the medical single trip daily and multi-trip annual plans, most plans involve deductible in US dollars but allows savings up to 45%. The plan is for Canadian travellers and snowbirds in search of a medical or non-medical plan that will cover them when they travel outside their provinces. Non-medical benefits include trip cancellation, trip interruption, lost baggage and personal effects, and accidental death and dismemberments. The plan covers up to $5 million CAD for emergency medical expenses. Some of the benefits of medical plans include hospital accommodation and physician fees, diagnostic services, paramedical services, ambulance services, pet return benefit, return vehicle, emergency air transportation, to mention a few. Ask your Broker about RSA Medi-Select Advantage Insurance Quotes and Compare!